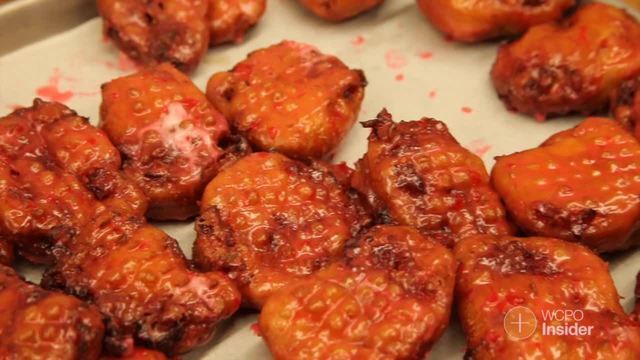 Part doughnut and part fritter, this fried morsel stuffed with cherries and soaked in a pink glaze is only sold a few days a year. 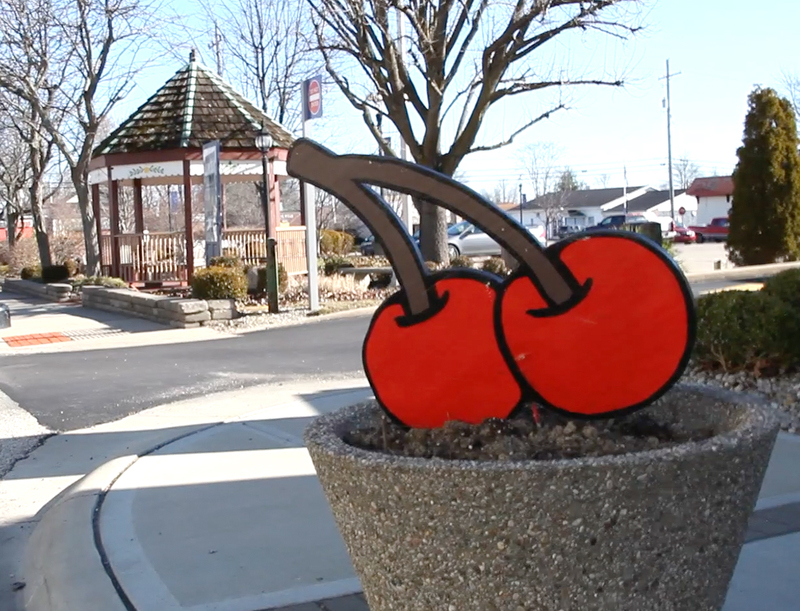 The limited sale has sent thousands of people – and dollars – into the small city about an hour west of Cincinnati for decades. And it’s all thanks to an idea Clem Schmidt had 42 years ago. “I’ve never met another baker that’s made one,” he said. "...They're very, very good." 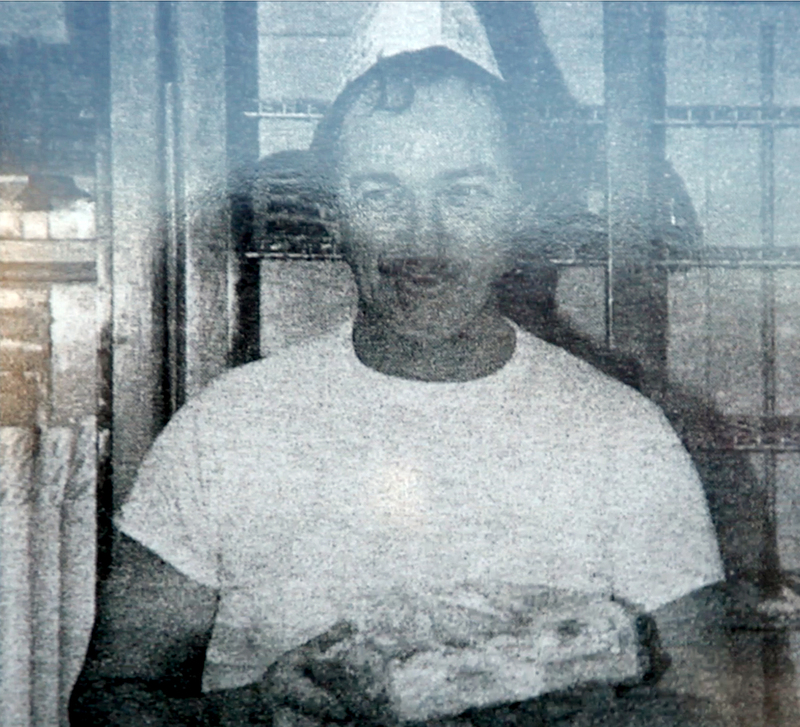 Schmidt, 77, has owned Schmidt Bakery since 1963 but started making his now famous cherry pastry in 1976. He said he saw the words “Thing-A-Ling” on a bag of flour all those decades ago that inspired him to make his own cherry fritter. The name stuck – and so did the city’s love for his sweet concoction. Schmidt said that number grows by about 7,000 doughnuts each year, and he expects this year to be no exception. And before you ask him, yes, he thinks President Donald Trump would enjoy a Thing-A-Ling. Making the Thing-A-Ling is a family affair for Schmidt. His wife and daughters all have a part to play in the process of cooking up thousands of doughnuts. In that single Thing-A-ling weekend, there will be more than 25 people working behind the scenes at Schmidt Bakery. Each person has an important role to play – from folding paper boxes to operating the fryer. The Schmidt family will need all the help it can get to feed all those hungry customers. Todd, 46, handles the bakery’s finances. But that doesn’t mean she won’t be getting her hands dirty in the kitchen. 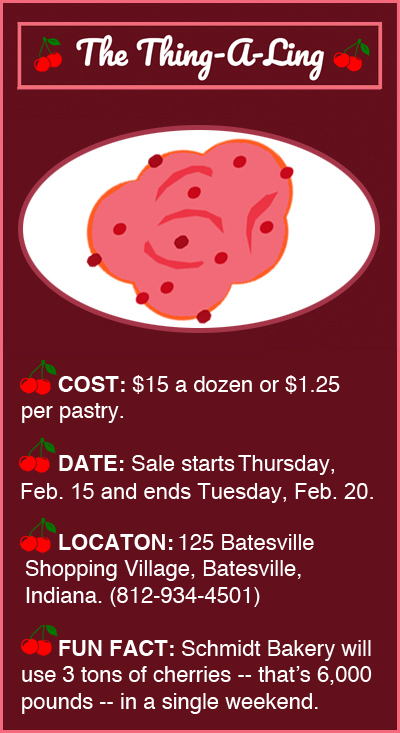 In that single weekend, the bakery will go through 3 tons of cherries and twice that in flour, she said. Schmidt said the business will make more money Presidents Day weekend than it does in three months. Todd said Schmidt already had hundreds of preorders last week. 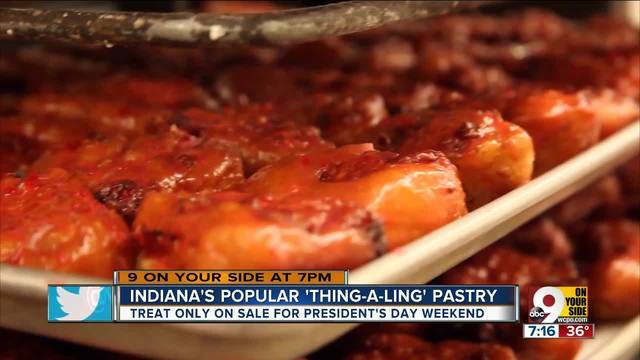 And those aren’t just from locals – the bakery will be shipping Thing-A-Lings to Arizona and even Alaska. The Thing-A-Ling has gotten so popular, Schmidt said Busken Bakery wants in on the action. Schmidt said he plans on selling the Thing-A-Lings every year for as long as he can. While he hasn’t touched the recipe in decades, it does come in chocolate, too.